Any good song tells a story. The music and lyrics should take you there. And that’s what is so special about the 30A Songwriters Festival. It captures your soul instantly through the music, the lyrics and the many stories the songwriters share through their performances. On Jan. 18-21, South Walton will be transformed into a songwriter’s paradise and the “hottest” mid-January destination for music fans. This year’s 10th Anniversary lineup brings together more than 195 songwriters, over 250 performances at 30 venues in South Walton County and attendees will experience countless once-in-a-lifetime moments. 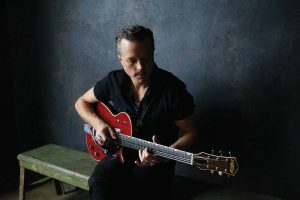 Esteemed artists include Jason Isbell, Brandi Carlile, Rosanne Cash, and Felix Cavaliere’s Rascals with his full band and horn section. Additional renowned artists include Patty Griffin, Steve Earle, Livingston Taylor, Gregory Alan Isakov Suzy Bogguss, Amanda Shires, Matraca Berg, Shawn Mullins, Justin Townes Earle, Matthew Sweet, Chely Wright, Darrell Scott, Marc Broussard, John Fullbright, Elizabeth Cook, Sierra Hull, The Secret Sisters, The War and Treaty, Aaron Lee Tasjan, Robyn Hitchcock, Radney Foster, Jefferey Steele, Steve Poltz, Bob Schneider, David Ryan Harris (John Mayer), Hayes Carll, Tommy Stinson, (The Replacements), Peter Holsappe (dBs), Chris Stamey (dBs), Emerson Hart (Tonic), Drivin N Cryin, Chris Stills, Ellis Paul, Mac Powell (Third Day). Being able to get up close and personal with these music hit-makers is a big allure of the weekend. The three-day festival is held in restaurants and intimate venues along Scenic Highway 30A with headline performances held outdoors on a spacious green at Grand Boulevard at Sandestin. Here artists feel welcome, relaxed and comfortable to share their stories and talents while connecting and collaborating with other artists who share a common passion for their craft. With several back-to-back performances to watch, it’s a unique opportunity to experience the heartfelt dedication and get inside the personalities of the artists that is part of songwriting. All net proceeds benefit the Cultural Arts Alliance of Walton County (CAA) and help to fulfill its mission to support the arts. Due to strong demand this year, there are a limited number of weekend and VIP weekend passes for sale. Three venues have also been added to the festival which expands the capacity to accommodate the limited number of additional patrons. Additionally, a limited number of day passes have been released for Grand Boulevard headline performances for Saturday – day only and for Sunday day only plus Sunday day and evening. 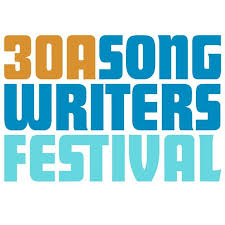 Purchase online at 30asongwritersfestival.com/tickets.